Hope you are enjoying Spring? Mother Nature is up to no good again... sending "wintery mixes" here. I WAS loving the warmer temps as anything above 30 feels warm to me. Click on the teal die cut image to get your free download. If you haven't seen the Youngins Sampler packs yet (link below) check them out!! SHOWN above are just a few of the ways you could use the face stamps in the samplers to embellish just about ANYTHING!! 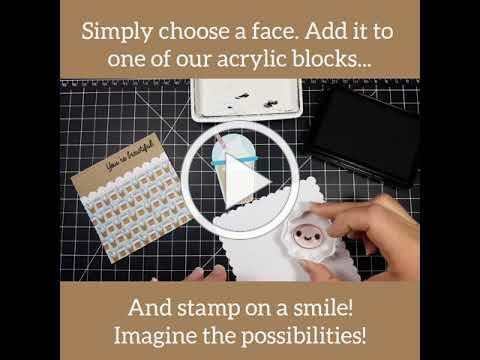 Below watch Nikki in FAST PLAY of how easy it is to embellish with our face stamps! Do you have a wish list or are curious about our stamps? and watching this may open your mind up to some very simple and easy projects with just face stamps! CALL to place an order by phone by 8 pm CST please.